It is obvious from his mini mobile jazz-club that Toon Meijer embraces his love for Jazz & Soul. A mobile act that brings an authentic jazz mood in no time. Shuffling between his records, with the sax being within reach when needed. Toon’s classy Jazz and Soul fills the space. To obtain the mood of a 60’s jazz-club, the experience includes retro-lamps, vinyl records, live saxophone, soul & jazz tracks, and everything else that is suitable. An individual project by Toon Meijer. 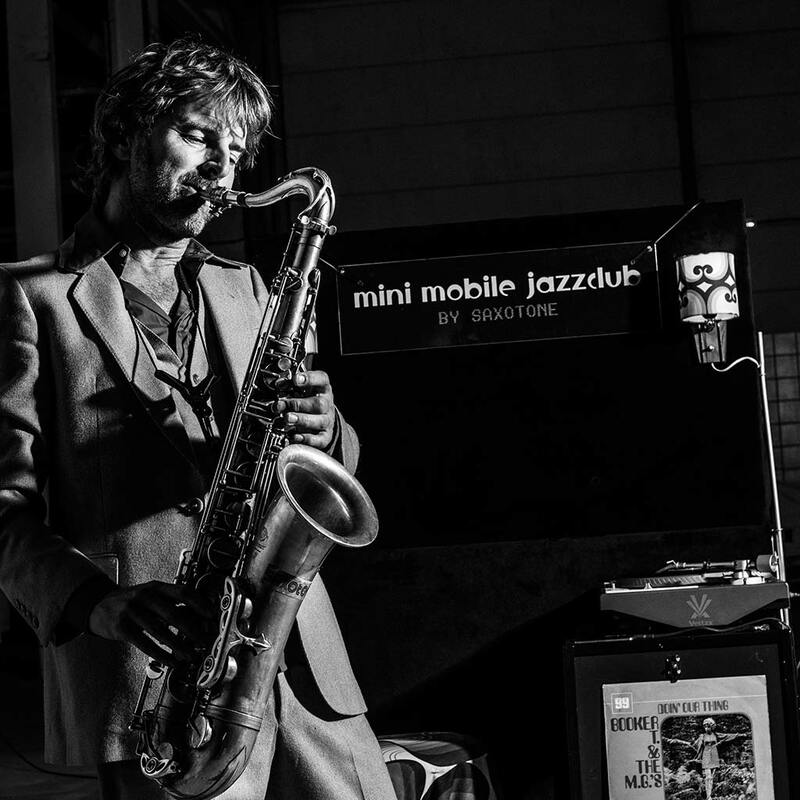 The Mini Mobile Jazzclub is budget friendly and completely self-contained. With just 2 square meter of space needed, this swinging act fits in almost every location. Every party gets the atmosphere and looks that it needs when accompanied by this charming mini stage! 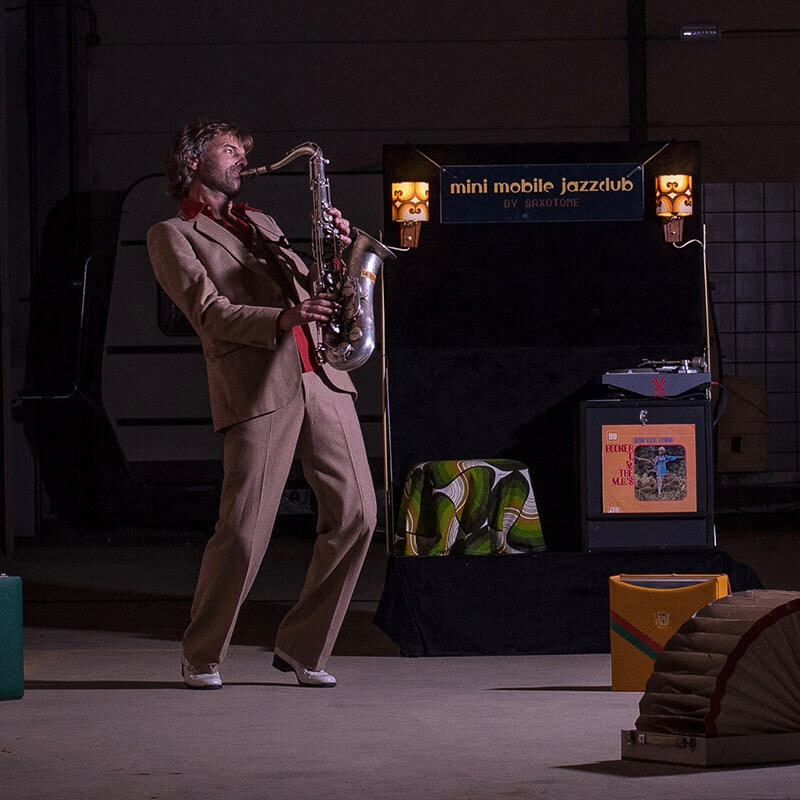 Watch the videos to get experience of the mini mobile jazz-club.